[ReQ] Instead of VIP Features. Yo all, i already requested this plugin 4 - 5 months ago as it's useful sometimes. Give m249 automatically for VIPs when round starts with p_ and v_ models and w_ if possible, then i've the models. I hope my plugin request mark solved as soon becuz it's useful for me. I trynna make money, not friends. Re: [ReQ] Instead of VIP Features. And at this time when you request it i already made it for you. Search back and get it. Where ? lol i've already explained more i said with models u made just weapons not models please i need it. So ok, Where the old one so i edit it you? Bro you should see the code first fixed or not. you must remove ze_is_user_zombie(id)) & if (!is_user_alive(id) i know. but wait now vips will get 3 nades must remove one of each nades from this code ! 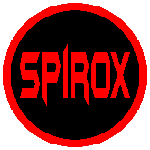 Last edited by Spir0x on 26 Nov 2017, 17:52, edited 1 time in total. first this give x2 nades i said 1 nade from zombie_escape.cfg and one from this plugin. second is when i respawn i'm urgent to take another weapons & pistol when i take weapon this m249 appears !